Welcome to ClothesForCash.ie – The company that collects your unwanted clothing. We also operate a drop off Store in Galway City. 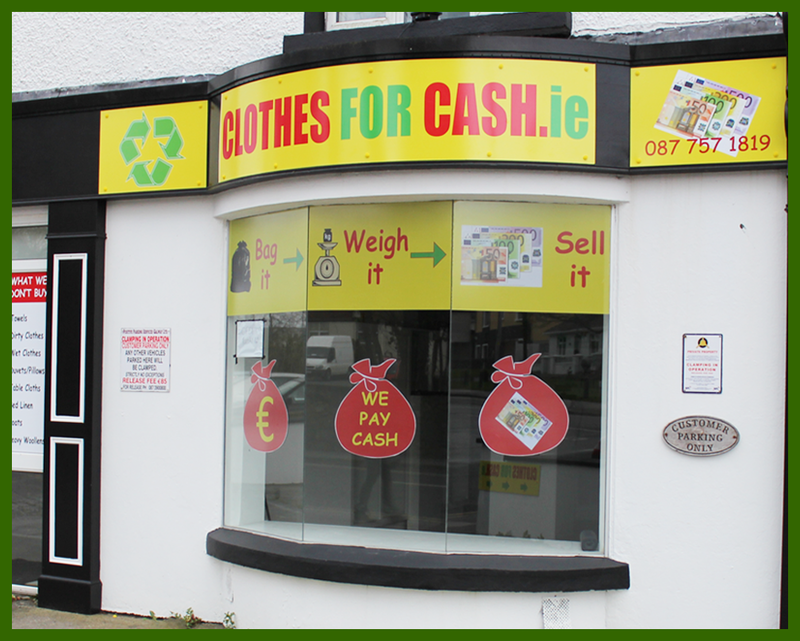 Call us today on (087) 7571819 or email us on info@clothesforcash.ie for a collection or quotation. We will come to your location to collect and weigh the clothes and then take them away. We pay you Cash for your Clothes and then we are all done! New drop off shop now open on Newcastle Road, Galway. The company that collects your unwanted clothing. Drop off Store in Galway City. You simply fill as many bags as possible with the recyclable items listed below. Arrange a date with us when you want the bags collected, we will arrive and weigh the bags on our calibrated scales and pay you on the day. It’s that easy. We provide a prompt and reliable collection service to suit your needs. We do not accept duvets, pillows, sheets or bedding. ClothesForCash.ie helps schools, clubs and events raise vital funds. We assist in the operation of “Clothes Drive” days where members of the school or club bring their unwanted or unneeded clothes, shoes and accessories which are bagged and taken away by ClothesForCash.ie after the club or school is paid for them in cash! 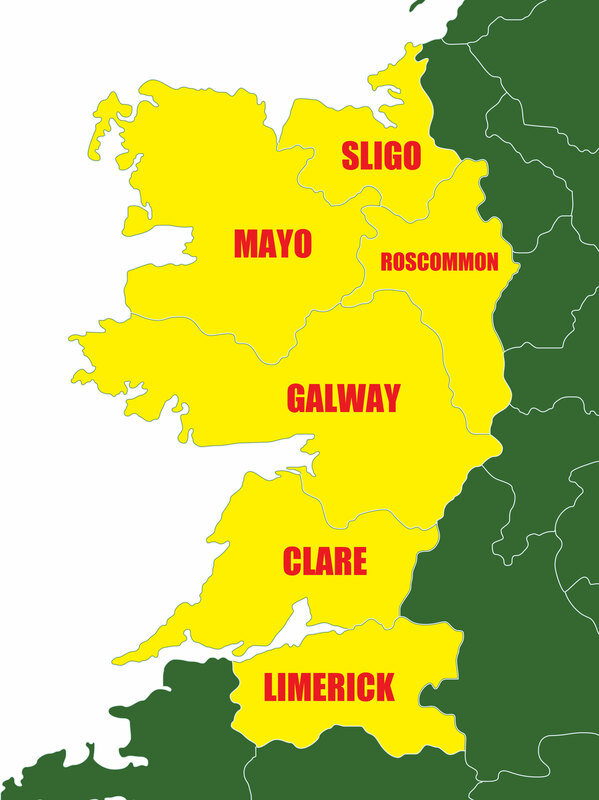 We offer a collection service in many parts of Galway, Mayo, Clare, Limerick & Roscommon. Please contact us to see if can service your area.